Over the past week and a half, Jennifer Pharr Davis has been thru hiking the Alabama Pinhoti Trail. She ventured south from her home in North Carolina to bring attention to what she’s coined as “The Goldilocks Trail” (because everything about it is perfect) (duh, we knew that already). 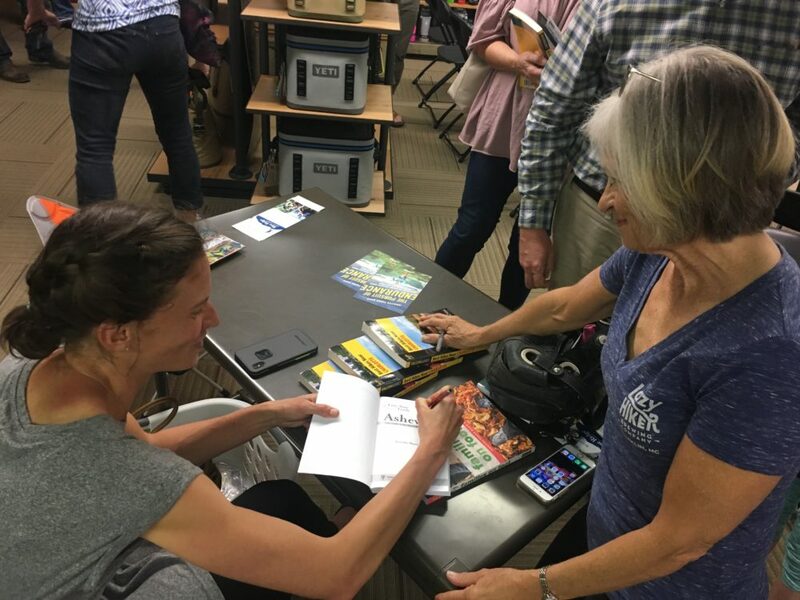 At the risk of looking like a groupie, I went to see Jen two separate times over the duration of her hike—when she arrived at Flagg Mountain to begin the Pinhoti Trail, and at a speaking event at Alabama Outdoors. As an aside—to have Nimblewill Nomad and Jennifer Pharr Davis in the same place is pure magic. 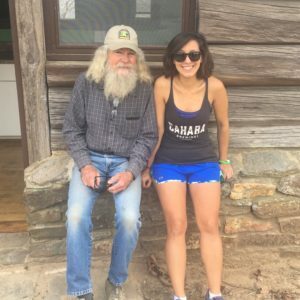 These two are some of the most well-known and accomplished thru hikers in the country, yet are both the most down-to-earth and friendly people. Menasha Ridge Press is very fortunate to have them both as authors (shameless plug for Ten Million Steps and Five-Star Trails Asheville). I just stood very still and tried to soak in as much trail knowledge as I could through osmosis. After hearing both of Jen’s presentations, I came away with a few life lessons. Jen said that one of the biggest realizations she had after her first thru hike of the Appalachian Trail was that she felt best about herself when she was out in the wilderness, stripped of society’s expectations of beauty. She was dirty, smelly, and bruised most of the time (as all thru hikers are), yet she viewed herself as beautiful. Her interactions with other hikers defined how she felt about herself, because real beauty is on the inside. Whether it was hiking backwards because of shin splints in both legs, or getting violently ill and moving less than a mile per hour yet still setting the record for the Fastest Known Time on the AT, the trail repeatedly taught Jen that she could accomplish amazing feats daily. This is a big lesson coming from the former AT record holder. You can be stronger, you can be faster, you can have more sponsors and publicity, but that won’t guarantee you an easy and successful journey. It’s about endurance and the ability to keep going no matter the circumstances, above all. Needless to say, Jen has some phenomenal endurance. Jen said that when she finished the AT having set the record for being the fastest female, she wasn’t as tired or proud as she could have been. She finished knowing she had more in her. Which to mere mortals, may sound insane. But Jen knew her potential to hike faster and set the overall record, and that’s exactly what she went back and did. 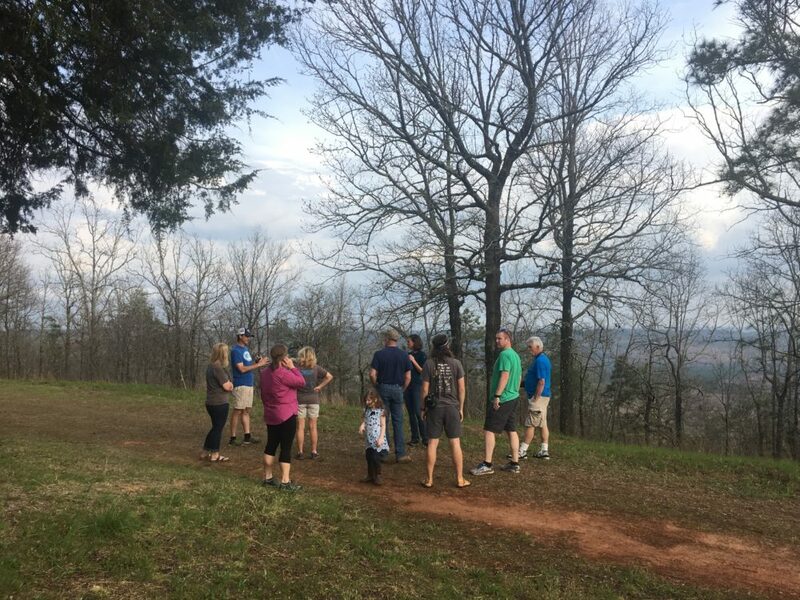 Jen told a story of a blizzard that caught her off-guard in April in Great Smoky Mountains National Park during her first AT thru hike. She was essentially out of food, slogging through 8 inches of snow to the nearest hostel, with one eye frozen shut. It was hard work. But she realized that her hard work would all be for nothing if she were moving in the wrong direction. Which makes sense literally in her situation, but also makes a lot of sense in this thing we call life. 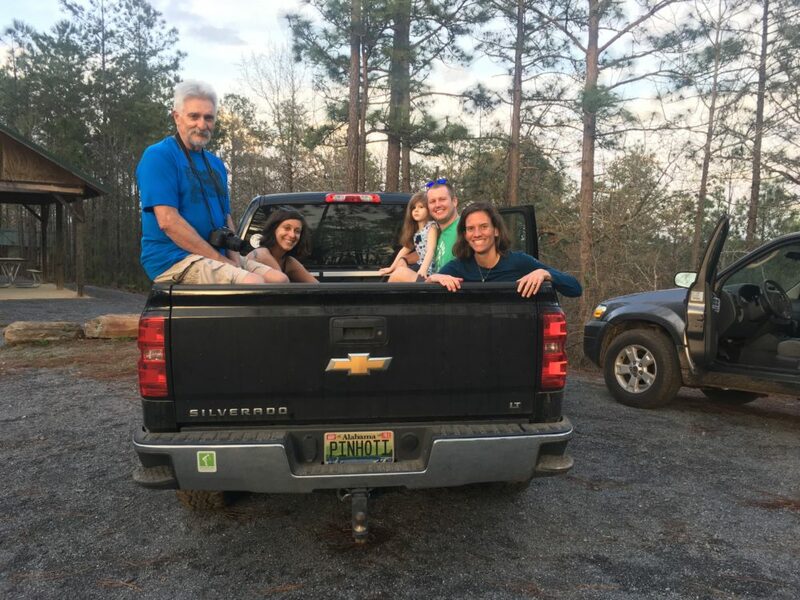 To follow Jen’s travels and thoughts on the Alabama Pinhoti Trail, follow her Instagram and the American Hiking Society Instagram (she did a takeover).